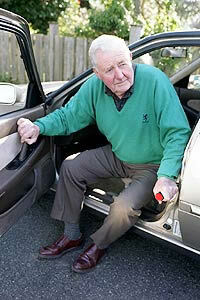 Do you or someone you know have difficulties getting in or out of the car? Here is the great solution Handybar! 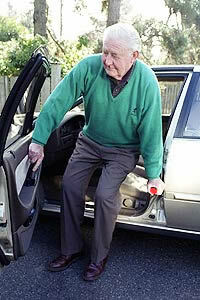 The average North American gets in and out his or her car 4 times each day. 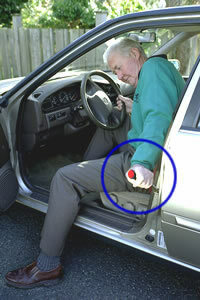 If you are one of the 35 million over age 65, 60 million suffering from chronic arthritis or temporary injury, or the annual four million pregnant women, a hand to help you in or out of the car may be critical. 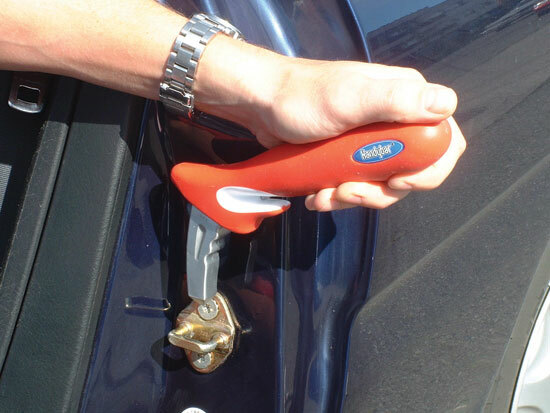 A new product called Handybar® provides that critical security to anyone getting in and out of today’s lower cars and higher SUV’s." 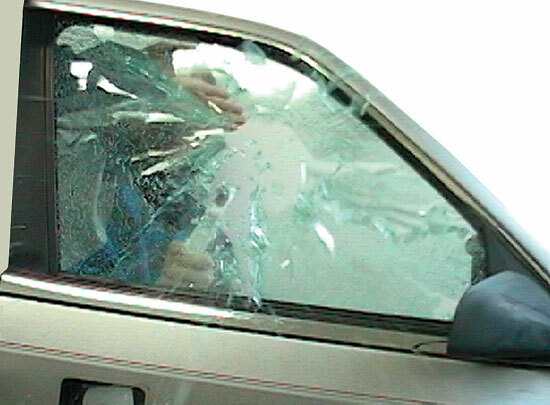 Contains two additional safety features, a seat belt cutter and window breaker for emergency situations. 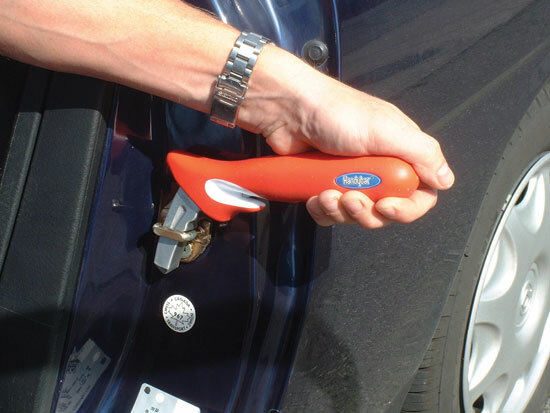 Handybar can also be used as side window breaker to break your car window and a seatbelt cutter during emergency situation. Some vehicles from North America made in the late 80's and early 90's have a different striker plate. Before purchasing, confirm that the striker plate of your vehicle matches the one shown above. great invention and ... inexpensive! I especially like to use this "3 in 1" for my elderly relatives who need that little bit of leverage to lift themselves up and onto the car seat. The price of the handybar makes this affordable to all, even those on fixed income. 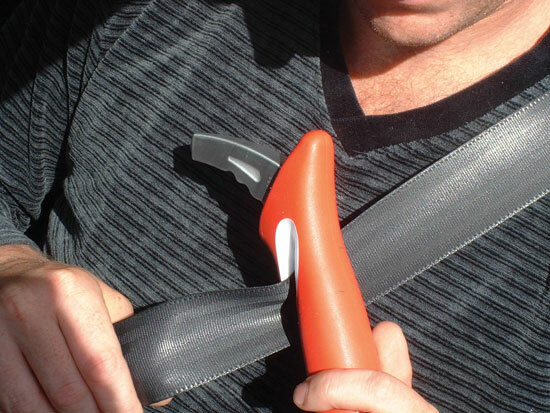 After all, safety is extremely important. Thanks for offering this.